Hi there! Natalie here today instead of Casey. 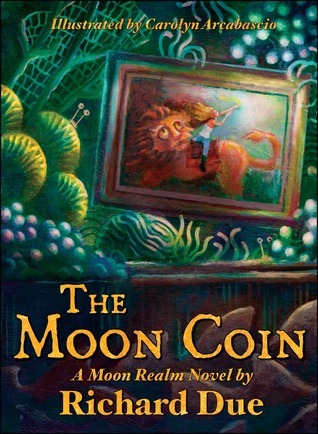 Today I'm excited to share a tip from Richard Due and a giveaway of his middle grade book THE MOON COIN. I've read a number of great reviews for the book and the illustrations so I'm hoping that one of you and your middle grade kids would enjoy Richard's book. Details about the book and the contest will be after Richard's tip. Read the genre you want to write in until your eyeballs fall out. Then put them back in and read some more. Repeat. Make sure your novel's word count matches the target genre you're writing for. And remember, first time novelists don't—as a rule—get to break rules. Get thee to an editor, or do not pass go. Personally, I work with two! I met one of my editors years ago, when she was 14. Her mother would bring her into my bookstore on Saturdays after soccer. She would run to the young adult section, still in uniform, and raid our Lois Leppard books. Now she edits full-time at a publishing house. Lesson? : Yep, even soccer players can become editors . . . um, wait . . . okay, seriously: KEEP YOUR CONNECTIONS! Go to writers' conferences and take advantage of their workshops and writers' critiques with real live editors and agents. In addition to smaller, more local events, I've been to two of the big SCBWI conferences in New York City. 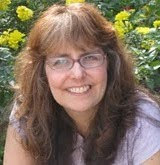 I actually met my illustrator, Carolyn Arcabascio, at the 2011 one. Lesson? : MAKE NEW CONNECTIONS! Join a local writers' group. Listen to criticism of your work. If one person in the group thinks you need to change something in particular, it's probably fine. If three or more people in the group think it needs to change, you've got work to do. Between family, running a bookstore, and writing, I don't get to my writer's group nearly as much as I'd like. But every time I go there, I learn something new and useful. Get social: Goodreads.com, LibraryThing, Shelfsafari, facebook, twitter, tumblr. And make sure to start an author blog. 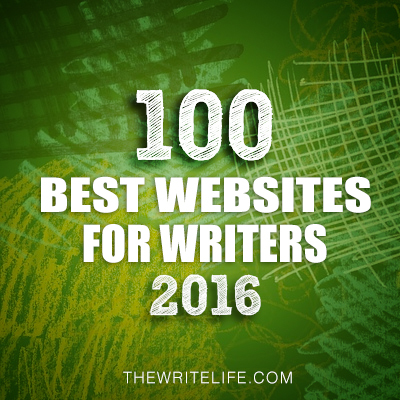 I use WordPress, but there are many good blogging sites—just pick one and get started. A blog is a great place for an author to let readers know what's going on: new books, interviews, signings, appearances, giveaways, links to other social networks, everything. After you've published on Amazon, Barnes & Noble, and the iTunes iBookstore, submit your book to book bloggers in your genre. http://hampton-networks.com/ maintains a nice list. If you have a budget, you can afford some of the paid professionals: ForeWord Reviews, Kirkus Indie, Blue Ink, Publishers Weekly, etc. These folks can help get your book in front of library staff, people in the publishing industry, and indie readers. If you thought having a printed book or eBook was the end of your journey, think again. Your next marathon is just starting. It's called marketing. Check out Amazon's KDP Select program and see if it's a good fit for your book. 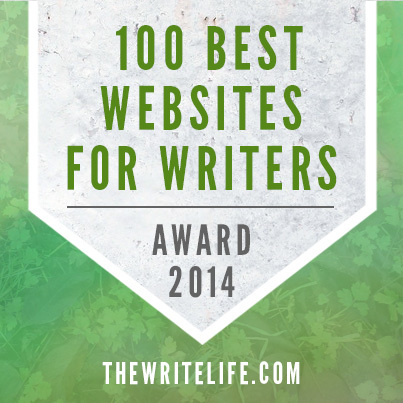 Enter your book into indie awards contests. Try and arrange a book signing with your local library or bookshop. And don't be shy about offering your book for local schools and libraries to purchase. Often, they're quite supportive of local writers. Hint: if you happen to time it at the end of the fiscal year and they still have some money to spend, all the better! Research book festivals and other literary-themed events in your area. For a small fee, or sometimes no fee, you can set up a booth and publicize your product, sell your book, promote your "brand," do a giveaway, add new names to your mailing list, meet other writers. . . .
Uncle Ebb was so good at telling his tales of the Moon Realm that sometimes it sounded like he'd been there himself. As children, Lily and Jasper listened raptly to his bedtime tales of a place where nine moons swirled around one another, each inhabited by strange and wondrous beings: magical lunamancers; undersea merfolk; wise birds; winged dragons; and Lily's favorite, the heroic, leonine Rinn. There was only one rule: don't tell a soul. You can find Richard at his website. Richard is offering one copy of THE MOON COIN for a giveaway. To enter the contest, all you need to do is be a follower (just click the follow button if you’re not a follower) and leave a comment by September 15th. I’ll announce the winner on September 17th. If your e-mail is not on Blogger, please list it in your comment. International entries are welcome. 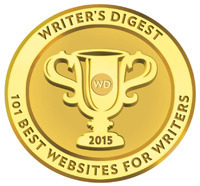 This makes an excellent set of tips that self-publishers can refer back to again and again. Thanks, Richard, for the wonderful tips. The book The Moon Coin sounds great. Wishing you lots of publishing success. Great tips! I'm discovering editing, crtique groups, and rewriting. And also how much I just don't know about editing. Good thing the library has such a huge section on writing! Also, the Moon Coin sounds WONDERFUL. Richard, your tips are very helpful. 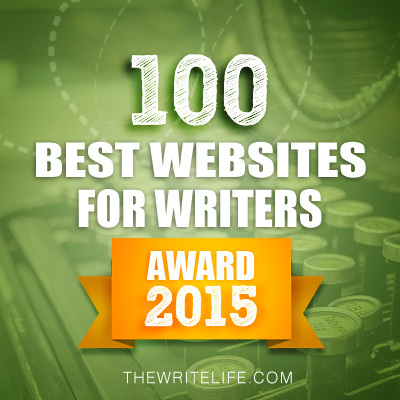 "Read the genre you want to write in until your eyeballs fall out. Then put them back in and read some more. Repeat." Tuesday tips are always a treat, but a rare few make me want to print them out and stick them somewhere. Natalie, thank you so much for featuring Richard today. WOW, what tips! Thank you so much for the tip it took to write these down and to share them all with us! Your book looks fantastic and I love the cover. I will be dropping by your site the moment I finish this comment. Natalie, I will put Richard's giveaway in my sidebar. I love my critique group and my online critique partner. 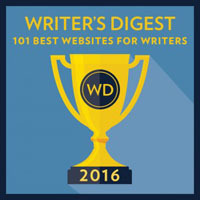 I agree with Richard's advice - you need a writing posse. Available as an ebook September 8, 2012, paperback to follow later this year. I'm exhausted just reading all of that! I knew my author buddies who self-published did a lot, but wow! Richard's tips are pretty helpful. Libraries are great places to spread books to get noticed. Great tips, Richard. The Moon Coin sounds terrific. The don't tell rule is bound to work. Sounds like a good book - and I am basing that on the excellent choices of names like Lily and the leonine Rinn. Wonderful tips! Thank you. The book looks really interesting! I'd love to enter the contest. Thanks for the chance to win! Sounds like a really good read!! I've considered self-publishing my YA paranormal romance, EVENING STAR...and I love the great advice from someone who's been there. I am going to pursue the traditional route first- just started querying agents- but I will bookmark this in the meantime. Here's hoping to land a copy of THE MOON COIN! I too went the traditional route first. And, if asked, I would recommend others to do so as well. That having been said, if you're a first time author, and your book involves lots of full-color illustration, and it's not a picture book but a novel, then know that you can definitely do it better yourself. The legacy publishers simply won't pay for the pricier paper and everything else involved. Enjoyed the post. And here's hoping I can win a Kindle copy of Moon Coin. A bit painful the first few hundred times, but you get used to it. Interesting tips. I love to learn new things about the publishing industry. Thanks for both the tips and the contest! The Moon Coin sounds interesting.